WHO WANTS IT, THEN?! WHO'S GONNA WIN IT?! THERE A GOOD CHANCE THE WINNER IS GONNA BE SOMEONE WHO USES THE INCREASE CHANCES FEATURE! 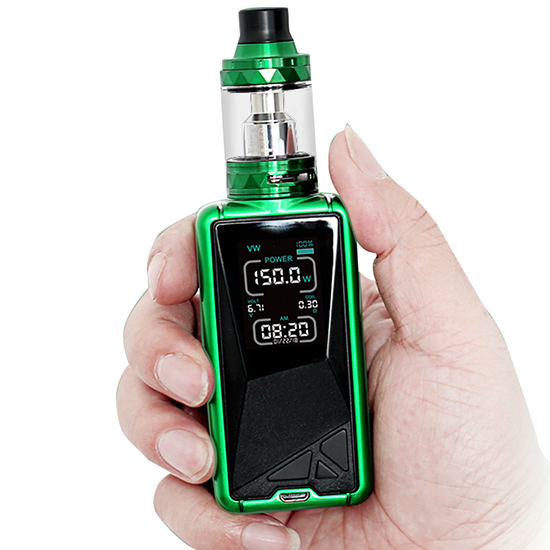 The winner of the lottery #1177 for Eleaf Tessera 150w TC with 2ml Ello TS was Eltjon Prifti from Tirana, Albania on Feb 11, 2019. 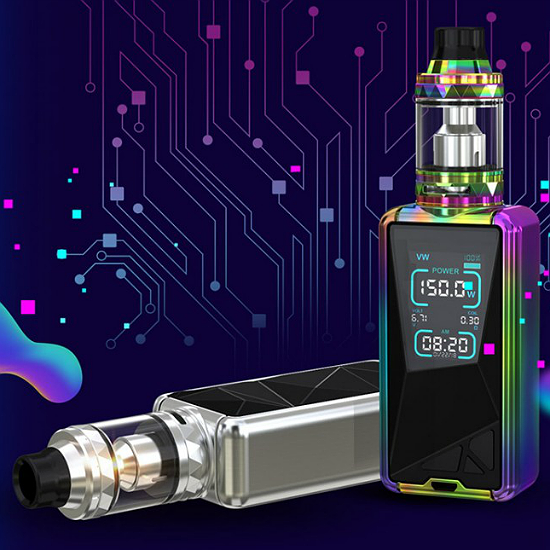 The Eleaf Tessera 150W Kit with ELLO TS Tank is a highly versatile and robust duo with a 4mL capacity, 1.45 inch TFT color display screen, and a stealthy side-mounted firing bar. The Tessera Mod has dimensions of 42mm x 30.5mm x 82.7mm and a built-in 3400mAh battery powering a unique UI system with five different color themes. The 1.45 inch TFT color screen displays all the necessities such as the date, time, battery life, mode, and current voltage, wattage, and resistance. The high-performance 3400mAh battery has a maximum charging current of 2A and supports wattages from 1-150W while operating between 0.5-8.0V with an atomizer resistance range of 0.05-3.5 ohm. For your convenience, you can adjust VW, RTC, and TC mode with TCR functionality capable of supporting Ni, Ti, and SS heating elements. Safety features programmed into the Tessera Mod include temperature protection, over-charging protection, over-current protection, and over-discharging protection. Attached at the center of the Tessera Mod with a spring-loaded 510 threaded pin is the powerful and luxurious ELLO TS Tank. With a standard 25mm diameter, the frame is made of superior Stainless Steel. For this tank, Eleaf offers up two durable Pyrex glass tubes- a 2mL tube that give the tank a height of 46mm, and a 4mL glass tube that makes for a height of 54mm. 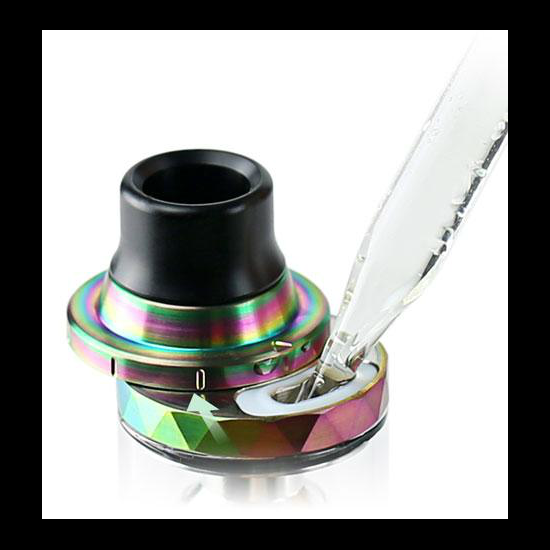 To fill either of these glass reservoirs, push the retractable top cap to the side and pour your favorite vape juice into the large fill port. Inside the tank is a pre-installed HW2 0.3 ohm dual cylinder coil head used best at wattages between 45-60W for maximum flavor enhancement. Eleaf has included the powerful HW1 0.2 ohm single cylinder coil head recommended for use between 50-65W for a smooth balance between flavor and cloud production. The ELLO TS Tank is easily assembled and disassembled for easy cleaning, maintenance, and swapping out coil heads.